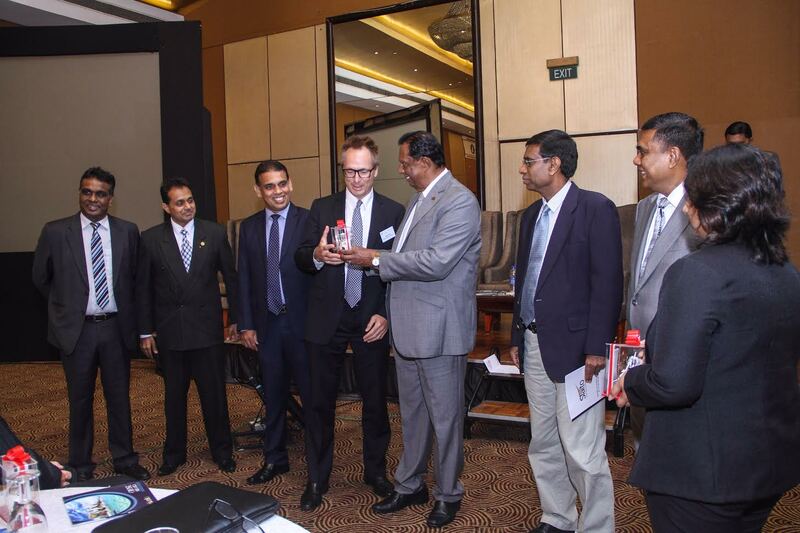 Sri Lanka Tourism Promotions Bureau in a unique thrust in partnership with SLITO and THASL that has chalked the 1st marketing plan for cruise tourism and was presented to the Minister for Tourism Development and Christian Affairs John Amaratunga at the International Maritime Conference at Galadari Hotel in the presence of top global cruise experts like Vice President Royal Caribbean John Tercek and head of business Royal Asian Cruise liner. President SLITO Devindre Seneratne, Chairman Sri Lanka Tourism Bureau Dr Rohantha Athukorala, TASL vice President Nalin Jayasundera, Minister for Tourism Development and Christian Affairs Hon John Ameratunga, the Cruise committee Chairman and consultant to SLITO Bernie Dole. 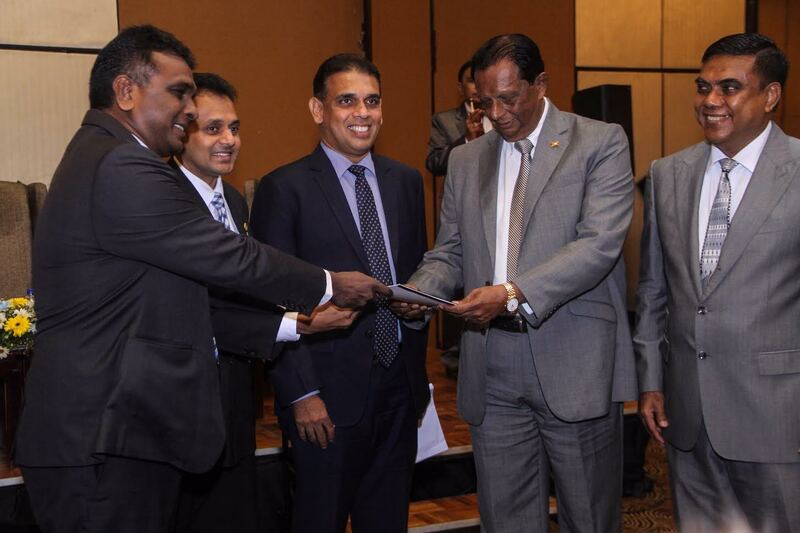 "Cruise Tourism" which is worth 21.7 million worldwide guests with Sri Lanka registering a number of fifty thousand plus for the year 2015 is targeting a 100,000 visitors by end 2016 given the strong infrastructure development that is planned which will cost 50-75 million dollars said the Minister John Amaratunga. We must get the supply chain aspects developed concurrently to the demand chain planning as per the marketing plan that has been sketched out if we are to make Sri Lanka a turnaround port he voiced. I congratulate the private sector and Sri Lanka Tourism Promotions Bureau working together in the spirit of a Private-Public partnership as we celebrate World Tourism Day he said. The cruise travel business better known as the ' floating marine resorts of the world' that attracts the most wealthy globally has doubled in business for Sri Lanka with 14 cruise liners calling the country in 2012/13 registering visitor arrivals of 19,615 cruise travelers whilst in 2013/2014 Sri Lanka attracted 22 cruise liners into Sri Lanka with visitor numbers going upto 27,317 whilst this year the numbers have spiked to 52 cruise liner arrivals and overall visitors expected to be fifty thousand plus in 2015. Present at the occasion was the Secretary Ministry for Tourism Development and Christian Affairs Janaka Sugathadasa, Chairman Sri Lanka Tourism Promotions Bureau Dr Rohantha Athukorala, Chairman Ceylon Shipping Corporation Shashi Dhanatunga, President of SLITO Devendra Senerath, Chairman and consultant to SLITO Bernie Dole.